Elena Kagan reveals the Supreme Court came close to allowing video game censorship. 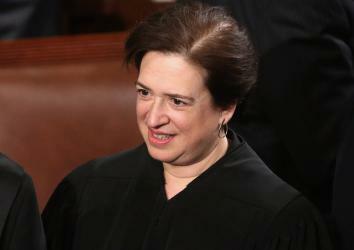 Supreme Court Justice Elena Kagan: ambivalent on video games. In June of 2011, the Supreme Court handed down its judgment in Brown v. EMA, a groundbreaking decision in which five justices held that video games were a fully protected form of First Amendment expression. In a rollicking and vehement opinion, Justice Antonin Scalia struck down a California law restricting the sale of violent video games to minors, holding that violent speech cannot be regulated by the state and that “disgust is not a valid basis for restricting expression.” The emphatic ruling elevated video games to the same level of constitutional protection afforded to books and films, and essentially forestalled any governmental attempt to censor any and all video games. For the sake of the First Amendment, let’s hope Kagan soon realizes how absolutely right she wound up being. At its core, the EMA case was split 5-4. Five justices—including Kagan—held that violent video games (and violent speech in general) deserve robust constitutional protections, and that minors hold a First Amendment right to play gruesome games if they wish. Two justices, Chief Justice John Roberts and Justice Samuel Alito, held minors may sometimes be barred from purchasing ultraviolent video games, hypothesizing that the interactive nature of such games might somehow make them uniquely dangerous. The remaining two justices, Clarence Thomas and Stephen Breyer, held unequivocally that states may ban the sale of violent video game to minors. That all-too-likely scenario would represent a startling erosion of core First Amendment rights. Filmmakers and novelists, of course, need not submit their works for review in order to determine whether they are too violent. That’s because filmmakers and novelists, and ticket sellers and bookstore clerks, cannot be legally punished for selling a violent movie or book to a minor. (Naturally, video game stores can still choose not to sell violent games to minors, just as movie theaters can refuse to let children into R-rated films.) Under the type of law that Kagan thought should be “OK,” however, video game designers would be all but required to submit their works for such state review. Otherwise, they could be subjecting themselves—and innumerable video game sellers—to legal penalties. This is not how free speech works. The team of artists and technicians who design video games are creating a form of expression every bit as valuable to the exchange of ideas as any film, book, poem, or play. Video games tell stories, convey messages, and spread ideas. Sometimes those ideas are horrific or grotesque; sometimes they’re brilliant and beautiful. Either way, the state has no business deciding who gets to say what by meddling in such a fundamental act of expression. Given these seemingly well-settled First Amendment principles, it’s a bit surprising to learn that Kagan agonized over EMA. When asked about his toughest decision on the court, Scalia cited a tedious technical patent case, probably Bilski v. Kappos, and explained that the really important cases are actually often quite easy. EMA was an important case. It also should have been an easy one. I’m thankful the Kagan, and the court, ultimately came to the right conclusion about video games’ free speech value. But I’m alarmed to learn that the United States was just one wavering justice away from vastly expanding the state’s powers of censorship.